Thin clients introduced this week by Dell and Hewlett-Packard have faster processor than existing thin clients as well as high-definition graphics capabilities, so they could be alternatives to traditional PCs as computing continues moving to the cloud. The desk-side thin clients also have advanced virtualization features for virtual desktops to host multiple applications in one session. They were announced at the Citrix Synergy conference in Los Angeles. 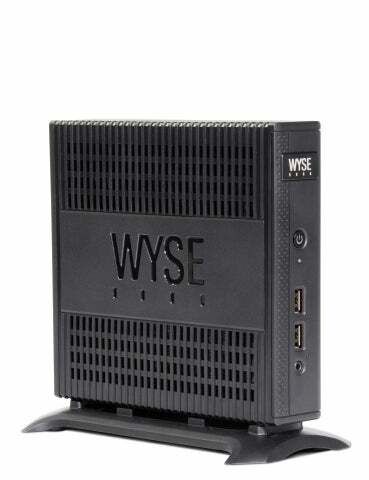 Dell introduced its first quad-core thin clients called the Wyse D90Q7 and Z90Q7, and also its first dual-core thin client, the Xenith Pro 2. HP upgraded its TM40 thin client to run Advanced Micro Devices’ A-series processors code-named Richland, which are an upgrade from Intel’s third-generation Celeron processors. The thin clients are optimized to work with Citrix’s virtualization stack, which includes Xen hypervisors and server and client software. The latest thin clients are PCs with network connectivity but no local storage. Virtual desktops on thin clients typically run applications stored in remote servers, using virtualization technologies from Microsoft, Citrix and VMware. The new thin clients have the ability to run high-definition games delivered over the cloud or full instances of Windows 8 complete with touch interaction. Faster chips boost client-side processing needed to run data-intensive applications locally. Thin-client computing is an old idea, but the cloud puts a new twist to the model, said Bob O’Donnell, program vice president for clients and displays at IDC. Smartphones are tablets are being viewed as thin clients because of their ability to host applications processed on remote servers. But there remains a demand for static thin clients to run applications hosted on servers. The new, powerful thin clients fit into the emerging cloud model as more applications are centralized to data center, and enterprises can contemplate upgrading Windows XP PCs to thin clients that can host instances of Windows 7, O’Donnell said. The thin-client devices cost less compared to PCs, but the actual implementation of a cloud-based computing model with the software and server resources could be expensive, O’Donnell said. In thin-client deployments, a lot of processing happens on the server side. However, powerful thin clients are needed as applications rely more on graphics or heavy client-side processing. “There are situations when having the extra performance locally is beneficial,” O’Donnell said, providing examples such as virtualized graphics or enterprise applications. Swap workstations for thin clients? Dell has played with the idea of replacing full-fledged workstations with thin clients. The company this month introduced a graphics-processor heavy workstation for data centers called the Precision R7610 that serves up multimedia and engineering applications to users over the cloud or in virtualized environments via thin clients. Nvidia, IBM, Dell and others have introduced servers that make high-performance computing resources available to remote computers. Benefits of the Dell and HP thin clients could also apply to point-of-sale terminals, where an application would need enough processing power to operate the graphical user interface, take orders and pump information back to the data center, O’Donnell said. “More and more retailers have self-service check out,” O’Donnell said. Software, throughput and networking improvements also help the new thin clients host more powerful virtual desktops. Dell’s thin clients can run virtualized high-end graphics with improvements made by Nvidia to its VGX virtualization technology, which allows graphics boards to render more virtual machines. The thin clients will be able to run full high-definition 1080p virtualized graphics, which could help in 3D modeling and engineering applications. HP focused on boosting the throughput to thin clients, with improvements to its Velocity software to cut latency and congestion over wired and wireless networks. Velocity, which is included in HP’s thin clients, adapt to network conditions. Other enhancements improve remote graphics capabilities on thin clients, HP said in a statement.